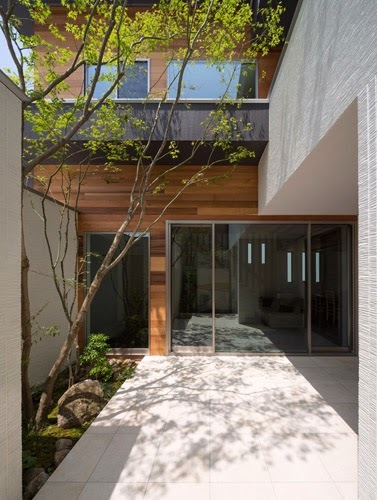 The M-4 House is designed as a series of rhythmic volumes that compose a secure and private environment for a family in a quiet neighbourhood of Nagasaki in Japan. 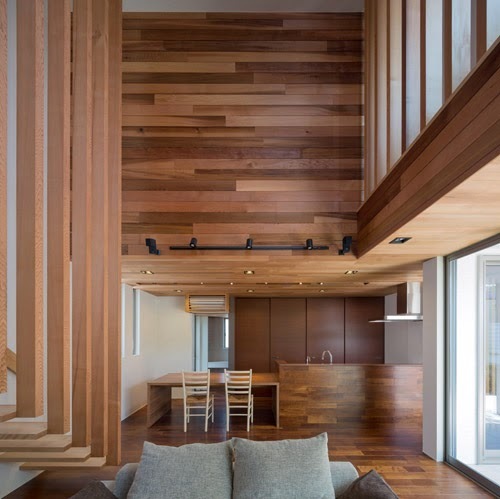 Designed by Masahiko Sato of Architect Show Co, the abundant use of differently-toned wood lends warmth and elegance to this one-storied house. The compact structure exposes different layers and volumes while the wooden-clad exterior, adorned with black metallic-like edges looks very modern and inviting. 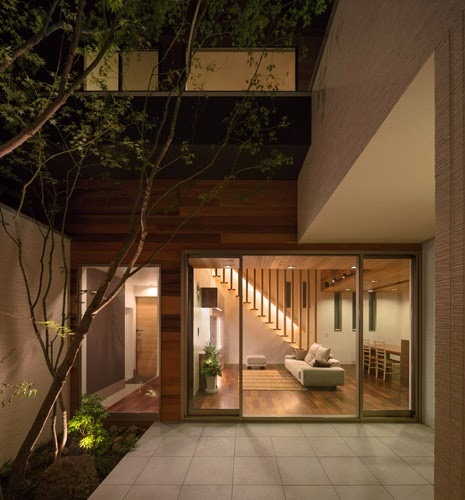 An enclosed courtyard with plenty of greenery connects the interior space with nature while the cedar cladding on the inside coupled with soft furnishing in earthy tones in the communal area ensconces the home in a cozy feel. 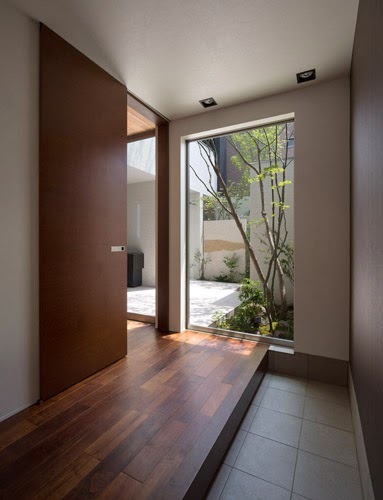 Expansive glass doors in the living make the courtyard seem like an extension of it. Similarly, fluidity of movement is orchestrated between the courtyard, hall, kitchen and the cantilevered staircase through an open plan layout. 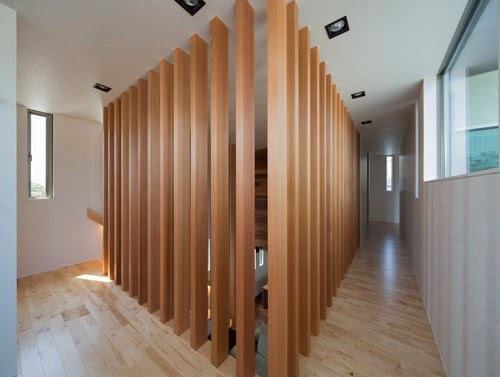 In fact, since wooden slats are used for the balustrade, a visual connection is maintained right upto the next floor, which accommodates private spaces like bedrooms and bathrooms. The double height ceiling bestows the hall the status of an atrium allowing natural light and ventilation to circulate; the wooden exterior also insulates it from excessive heat and cold – making it not just a modern but also an eco-friendly home. Overall, the home breaks away from the stereotypical ornate structures and stands out for its basic simplicity. Where on earth is so much wood available? Who can afford it? A decent wood lathe will last you numerous years and you shouldn't get one without doing some examination initially, or you could lament your choice.